Super Data recently published some information pertaining to the digital games market for the month of January of 2019, with a focus on consumer spending. There were lots of interesting pieces of information, but the most telling was involving Red Dead Online. It seems that Red Dead Online, while performing well, is nowhere near the success of Grand Theft Auto Online. 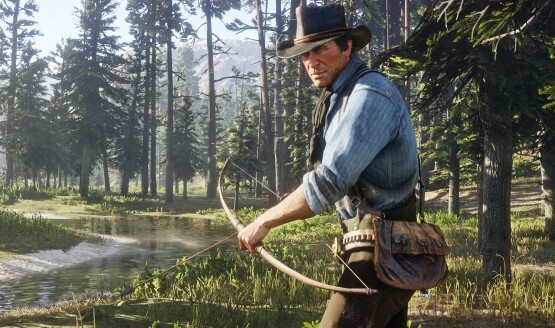 That may not come as a surprise, but it is wild to see that Red Dead Online is generating 5 times less revenue than GTA Online, according to Super Data’s article. Red Dead Online saw a decrease in revenue during the month of January by 14% month-over-month. An salient point brought up by Super Data noted that Red Dead Online is in beta format, which is seemingly unfair to compare to a full-fledged and long-running title such as GTA Online. And while that is valid, it’s unlikely that Red Dead Online would come close to GTA Online in revenue, anyway. To be fair, we’d have to compare the numbers five years down the line for an accurate comparison to see if RDR Online can catch up (or run GTA Online’s numbers from just a few months after its launch). Still, it’s amazing that a six-year old game can still be pulling in more revenue than the latest product. The article also covers the top ten games of January in terms of overall earnings, with FIFA 19 taking the top spot and Fortnite, Super Smash Bros. Ultimate, and Grand Theft Auto V to follow. Please note that this ranked by revenue earned, not copies sold. If you are still playing Red Dead Online, be sure to check out the latest update which has just launched today. Does it surprise you that Red Dead Online isn’t making as much of a splash as GTA Online? Perhaps it has to do with the setting or the fact that Red Dead Online is still in beta? Either way, let us know what you think!